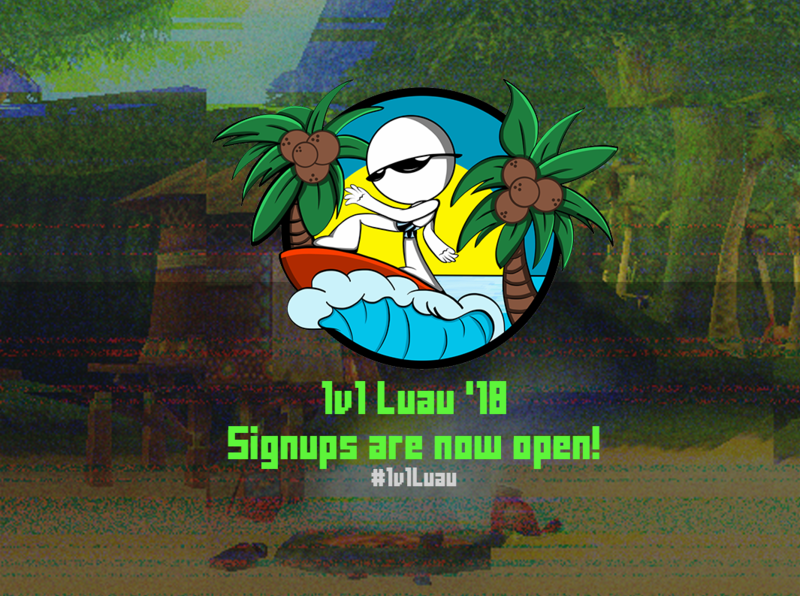 After a one year hiatus, we’ve decided to revive the 1v1 Luau summer tournament in 2018! 64 participants will fight to the death to become the king of the summer for your viewing experience on Friday, July 27th and Saturday, July 28th at 2pm Eastern/11am Pacific. Watch the trailer here! If you’d like to sign up to either be a participant or a referee, apply here! We will close both entry forms on Sunday, July 22nd at 8pm Eastern. For information on our prizes and rules, click here. Want to brush up on our FAQ? Click here. As tradition with all DuelCircle flagship tournaments, we will be having 3 livestreams on each gameday covering high stakes matches, fan favorites, and more! 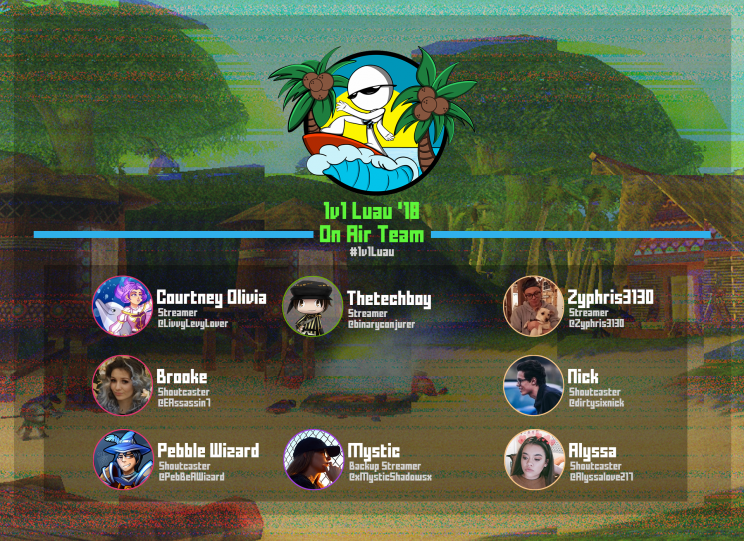 Returning from 2016’s 1v1 Luau tournament, Zyphris3130 joins dirtysixnick and drew_blizz on Twitch.tv/Zyphris3130! Returning from 2017’s Christmas Clash tournament, MissCourtneyOlivia joins Pebble Wizard and EternalAssassin (Brooke) on Twitch.tv/MissCourtneyOlivia! New this year, DuelCircle Lounge makes it’s official LIVE debut on Twitch.tv/Thetechboy with Ryan as an alternative viewing experience. Things will be slightly different than how they were during the ‘DuelCircle Lounge’ stream during the Fansite Festival. Special guests from around the community will join the stream at various times to provide a casual discussion from numerous perspectives compared to our usual gameday streams. Our goal is to have a more diversified stream with a modern/chill atmosphere to it. If any of the broadcasts unexpectedly go offline, MysticShadows is on reserve as our backup streamer. We are incredibly grateful for our lovely artists who donate their time to provide prizing for our Final 8 participants. 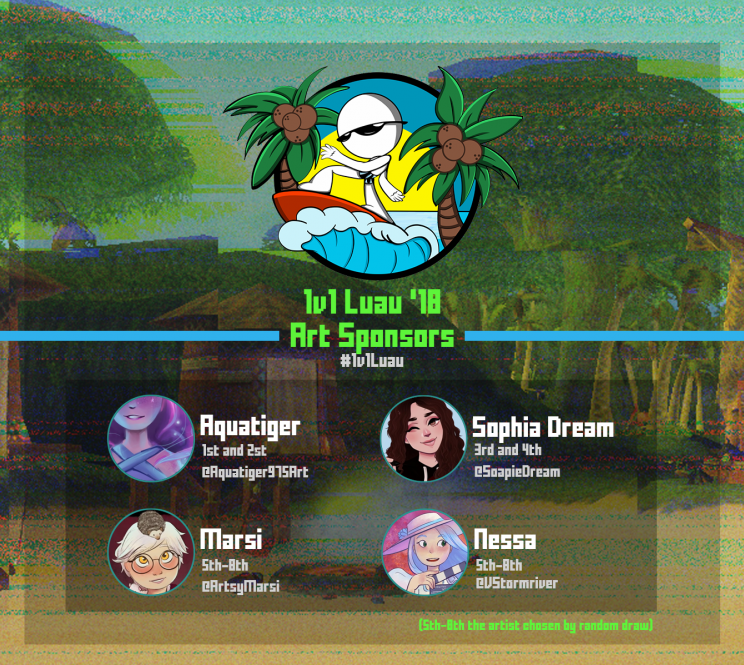 Sophia Dream and ArtsyMarsi return for 1v1 Luau while Aquatiger and NessaStormriver join DuelCircle as newcomers! 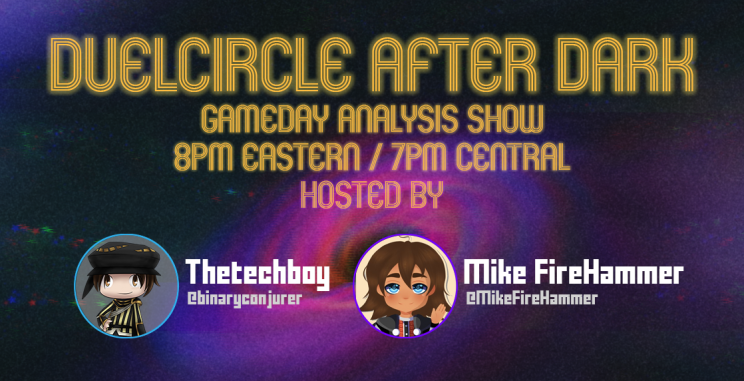 New for Luau ’18, our newest show ‘DuelCircle After Dark’ brings you daily recaps of the tournament, clips of some of the biggest plays from our on-air team, and discuss all the Luau action with the help of Thetechboy and Michael Firehammer each night of the tournament at 8pm Eastern / 7pm Central on Twitch.tv/Thetechboy with a rebroadcast at 8pm Mountain / 7pm Pacific (10pm Eastern). As more information becomes available, we’ll be updating this post with all of the important details for this summer’s 1v1 Luau tournament. Follow us at @DuelCircle_PvP for the latest updates.